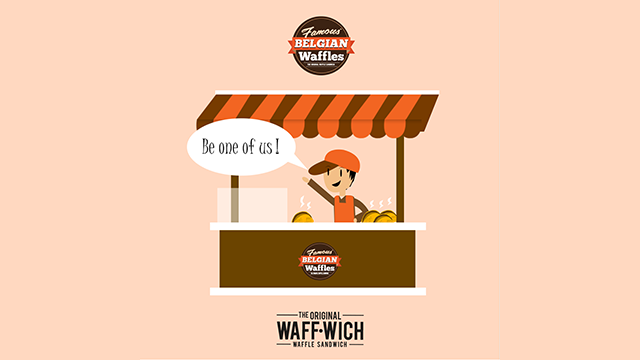 Famous Belgian Waffle is probably the fastest growing food-cart franchise in the Philippines, with already 386 outlets nationwide in just four years. At the rate that it is growing, there is no doubt that the company will be able to achieve 500 outlets very soon. Preparations are also underway to set up the company’s first outlet abroad, launching Famous Belgian Waffle as the next most promising Philippine-based global brand. While Famous Belgian Waffle may look like a lucky business concept, its founder, Euclid Cezar had failed in business many times. He once lost all his life savings from investing in a trucking business in 2010. The huge financial loss which resulted to a string of debt claims from his relatives had left him no chance to pay off all his creditors. Having been an entrepreneur all his life, it was emotionally depressing for Euclid to look for regular work in order to support his family. It took Euclid more than a year to realize that in order for him to be financially independent again, he has to go back to business. One day, while discussing with his wife, Katrina, who studied baking and pastry art, he came up with the idea of selling Belgian waffle. The idea of Famous Belgian waffle is to offer alternative quality street food at affordable pricing to the mass market. “I wanted to offer a type of quality sandwich that is enough to momentarily alleviate hunger or [be] pantawid gutom at [a] highly affordable price of Php 35 only” said Euclid Cezar on developing the business concept. In order to introduce an alternative street food that is first in the market, Euclid innovated by modifying the traditionally thick Belgian waffle as a unique light-sized, sandwich-type waffle with delicious fillings. 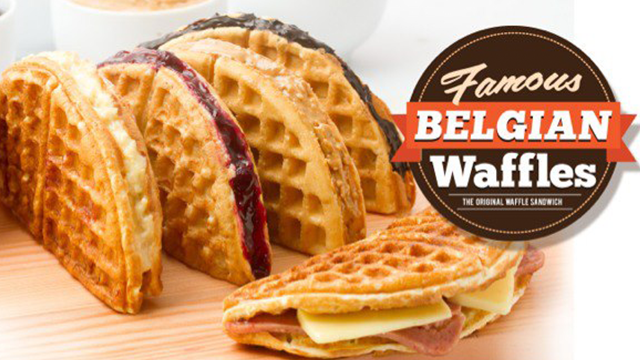 To create immediate brand positioning and effectively target his market, Euclid intentionally used the generic words “famous Belgian waffle” to name his product. Building a compelling value proposition is critical to the success of a startup. As a founder, you must be able to clearly define your product and its target market, identify what makes it different from the competition and the value that you provide. What may be a good business idea to you may not necessarily be good with others. It is important that the product that you will offer should be validated by your prospective customers. During this process, there may be some changes that you need to implement with regards to the design of your product and pricing, to make sure that it fulfills exactly the needs of your target market. When Famous Belgian Waffle was in the development stage in early 2011, Euclid together with his wife Katrina were busy conducting customer discussions with different groups about their product. They made several changes to their menu accordingly to perfect their product. The objective was to rapidly develop a minimum set of product features that will drive the most number of customers to buy when it is launched. When Euclid launched Famous Belgian Waffle in 2012, the capital available to him was his emergency fund worth Php 200,000. This was the only cash he was able to salvage from closing his multi-million peso trucking business several years ago. With limited capital, Euclid risked his remaining cash savings to open is first Famous Belgian Waffle outlet at the food court of SM North EDSA in 2012. To their surprise, the outlet did very well that SM offered more outlets to them to branch out. It was during this time that Euclid wasted no time in offering his business as franchise in order to expand. 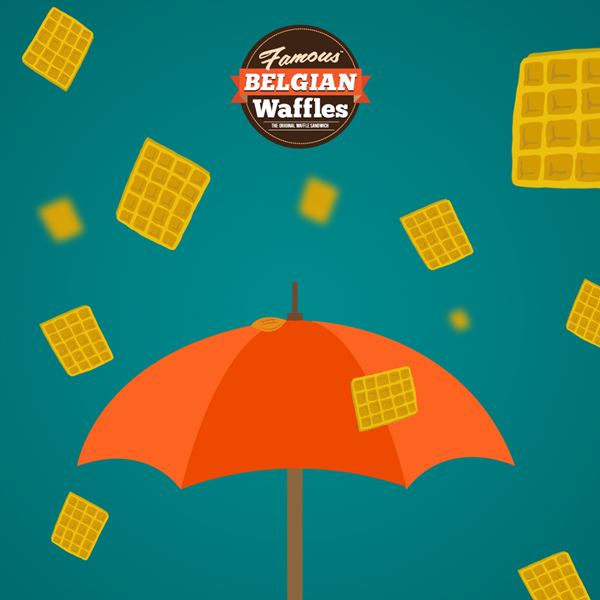 By end of 2012, Famous Belgian Waffle had a total of 16 franchised outlets. This initial set of franchisees, who invested Php 380,000 per franchise package, gave Euclid the funding he needed to organize the company. The following year saw rapid expansion with franchised outlets, which helped the company become more efficient as production achieved lower costs through economies of scale. Sourcing and hiring talents can be very challenging when you are putting up a business. Every founder wants to hire the best talent but at the budget that he can afford. When Famous Belgian Waffle was starting, they did not have the budget to hire people with experience to help them lead the company. The founders did the managing themselves until the company has grown to a certain size where they already have the budget to hire head hunters to help them recruit managers and staffs. Hiring people can sometimes be tricky. There will always be mistakes no matter how careful you are in recruiting, because you also need to get the right people who will fit your culture. More than skills, you also need to get people who are passionate in their work. When people love what they do, positive results always follow. Luck is what happens when preparation meets opportunity, according to Roman philosopher Lucius Seneca. When Euclid failed in his trucking business, he did not stop educating himself. He attended business courses and even took teaching jobs at San Beda College to keep himself updated with best practices in marketing. When the opportunity came to put up Famous Belgian Waffle, he was ready with the skills set to scale up the business. “I don’t pretend that I know everything. When I don’t understand a particular aspect in the business – for example, finance and accounting – I don’t hesitate consulting and asking questions. I keep asking until I learn,” said Euclid on continuous learning. As Famous Belgian waffle enters a new chapter in its high-growth journey, Euclid said that he is continually studying and learning best practices in business. He wants to prepare and be ready for the challenges that his organization will face in the future.